This easy salsa recipe is going to be your go-to for any time you are having company or bringing an appetizer to a party. Just wait until you taste the way these flavors mingle! 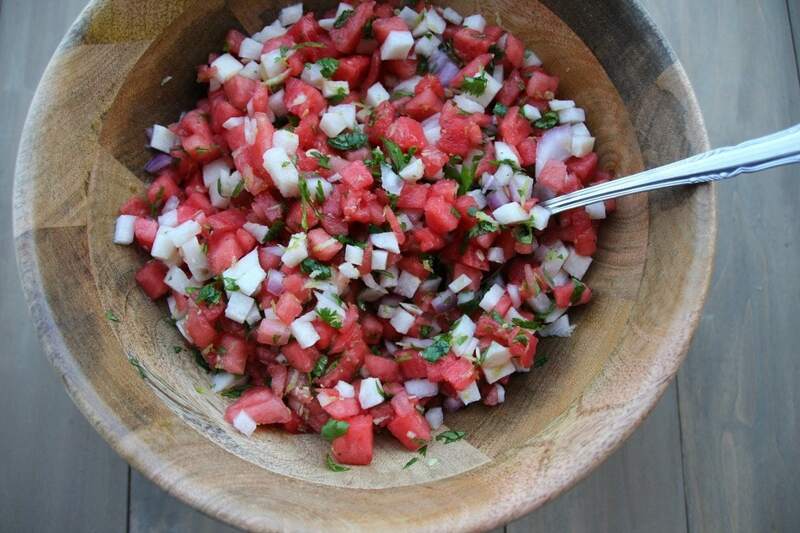 If you have sailed on a Carnival ship and eaten at the Blue Iguana, you probably remember the Watermelon Jicama Salsa. It’s kind of unforgettable, to the point that I had to make it as soon as I got home. A couple of weeks ago my sister and I went on a girls getaway spending three days on the Carnival Liberty sailing to Nassau in the Bahamas. We had such a blast hanging out at the pool, spending the day on a private island in Nassau, and eating at several of the fabulous restaurants onboard the ship. One of my favorite places to eat was the Blue Iguana. I love Mexican food, largely in part because I adore salsa. If there is a party where salsa and chips are served, you will find me hanging out near the bowl. Truth. 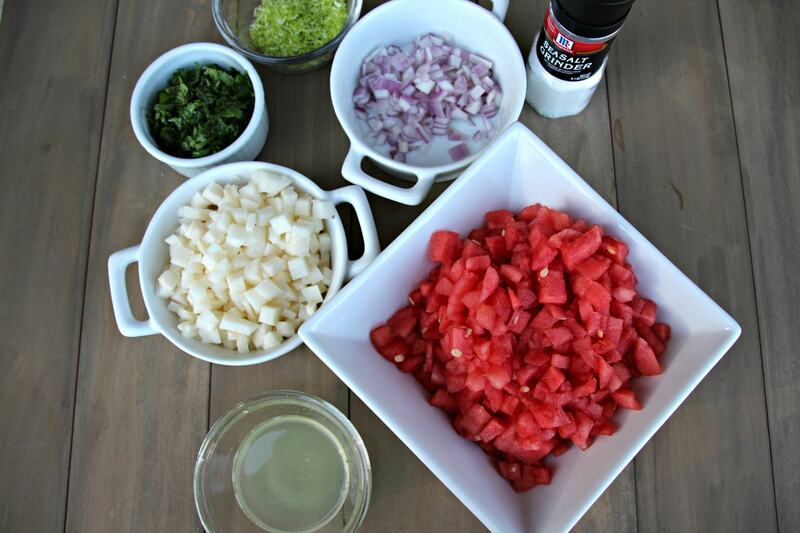 Now that I have this easy salsa recipe and know how truly simple it is to prepare, this will be my go-to recipe. The jicama gives the salsa a crunch that doesn’t get soggy, and the watermelon gives it just the right amount of sweetness. You will see that I did not add jalapenos as my younger daughter can’t take the heat. Unless you have a family member that is opposed, I would definitely include the jalapenos. 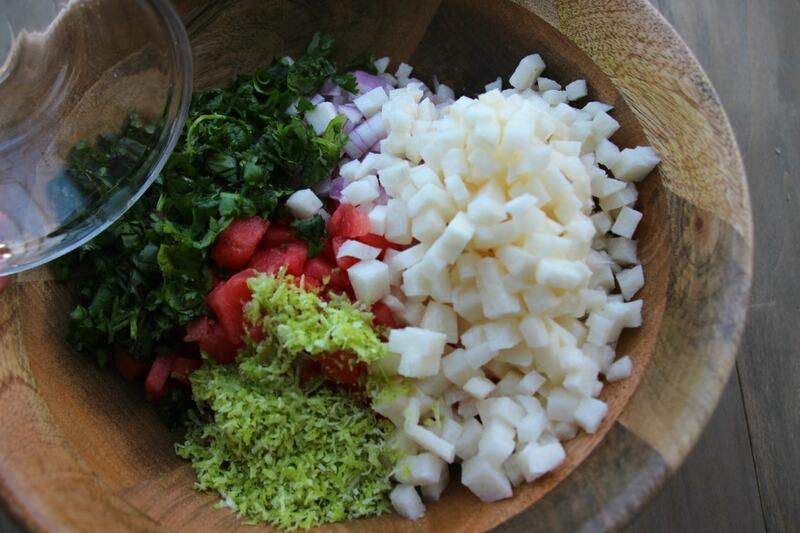 Place first 4 ingredients in a medium-sized bowl. Pour lime juice over all and add lime zest. Gently fold together being careful not to smash the watermelon. Add salt and taste to your preference. Chill before serving. This salsa kept really well in the fridge. We had it on chicken tacos one night, and shrimp tacos the next. It would also be wonderful served with chips or as a topping for fish. The possibilities are endless! 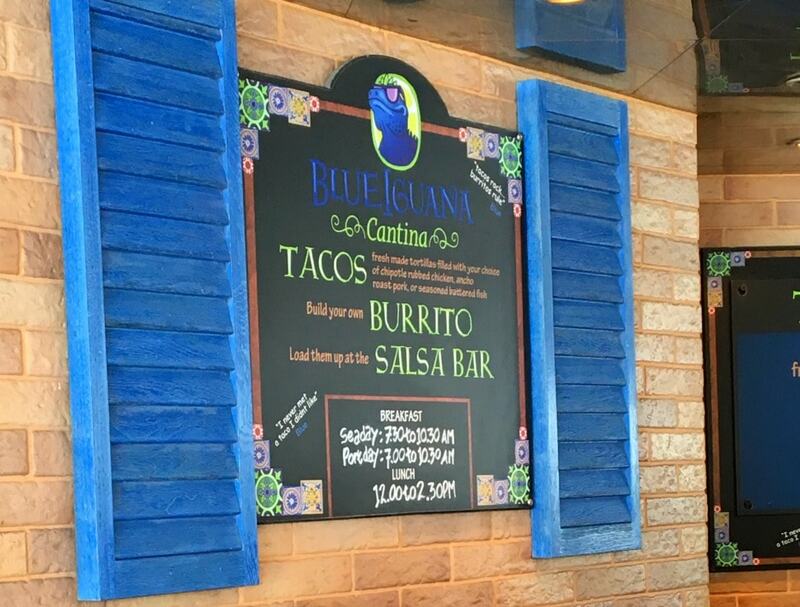 Be sure to check out the Blue Iguana the next time you are sailing with Carnival! 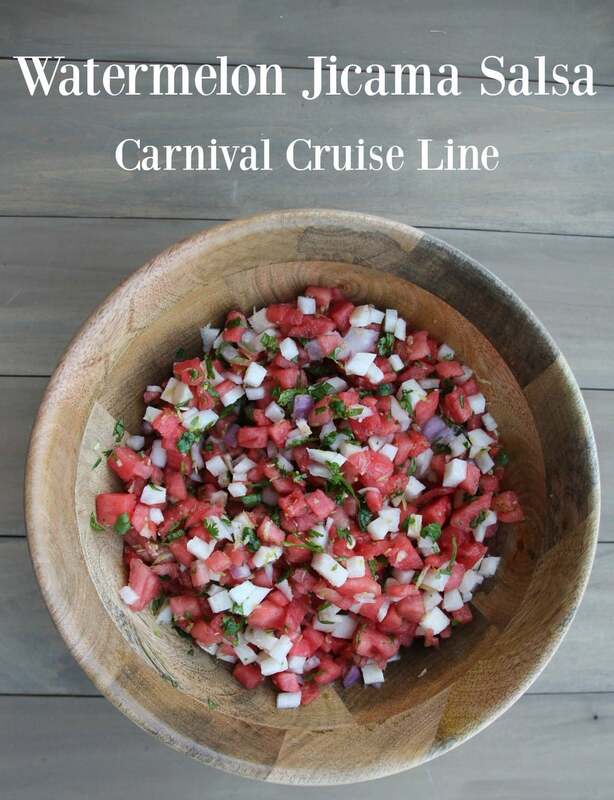 You are going to love this easy salsa recipe from Carnival Cruise Lines! 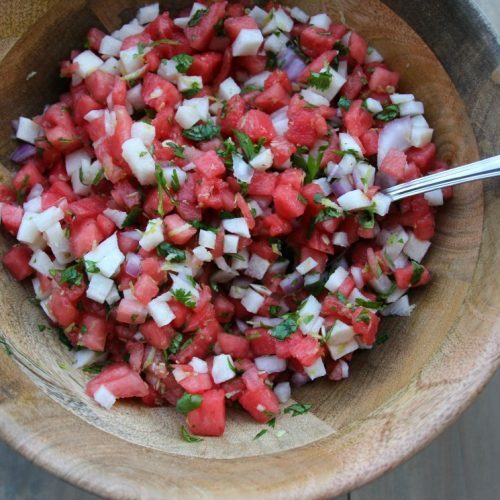 If you have sailed on a Carnival ship and eaten at the Blue Iguana, you probably remember the Watermelon Jicama Salsa. It's kind of unforgettable, to the point that I had to make it as soon as I got home. Just wait until you taste it! Place first 4 ingredients in a medium sized bowl. Pour lime juice over all and add lime zest. Add salt and taste for your preference. This salsa kept really well in the fridge. We had it on chicken tacos one night, and shrimp tacos the next. It would also be wonderful served with chips or as a topping for fish. The possibilities are endless! It is SO good and stays crunchy for days, Lynsey! I’m planning dinner around what goes with it because I have some left! Sounds so good! I’ve never had jicama before. It’s not a very strong flavor but the crunch is amazing, Sherry. It’s the perfect addition to the watermelon! I love salsa and I love watermelon. Never would have thought of putting them together. Can’t wait to make this. PS: your pictures look great! 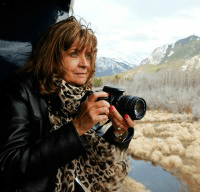 Thank you, Linda! I’ve had it before, but not this good! Carnival’s recipe is the best I’ve ever tasted! You will love it! Yum. That sounds so good. Maybe as a garnish rolled in a tortilla too. But I think I’d go the salsa and chips route! So glad you have this recipe. I just returned from a Carnival cruise aboard the PRIDE (May 14-21, 2017). I had this everyday!!!! It is unbelievable how GOOD this is! Hope this recipe holds up to original – looks like it should – the cilantro is the key I think…. I agree, Kristen! And I like extra cilantro! Exactly like on the ship! Delicious! Thank you so much for sharing this recreation! I adored the salsa on my last Carnival trip . 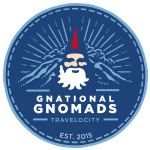 I had it most days, particularly in the morning with the huervos rancheros (sp?). Looking forward to making. Thanks, Jim! I love it in the morning with eggs, too. I think the crunch makes it extra delicious. Enjoy!